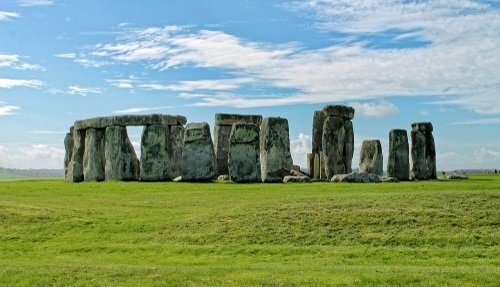 A private tour from Dover port is the perfect way to explore well-known English landmarks on the way to Central London, or as a round-trip excursion returning to Dover cruise ship terminal. Our custom built tours come with a professional guide and luxury transportation to and from Dover Port. 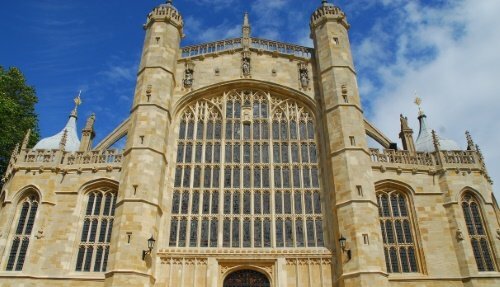 Discover landmarks such as Leeds Castle, Canterbury Cathedral & London. Our tours can end at your hotel in Central London, at London airports or return to Dover cruise ship terminal. We also run a group tour from Dover to London which visits Canterubury & Leeds Castle along the way. You can see details here. 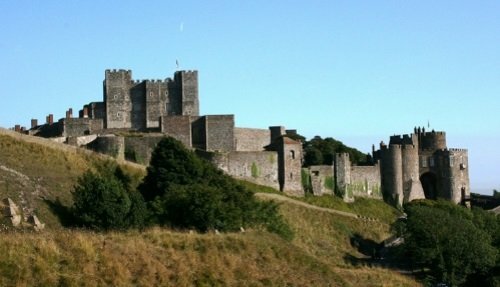 Below is a list of some of the most popular places to visit on a private tour from Dover Port. All tours are fully customizable according to your interests. 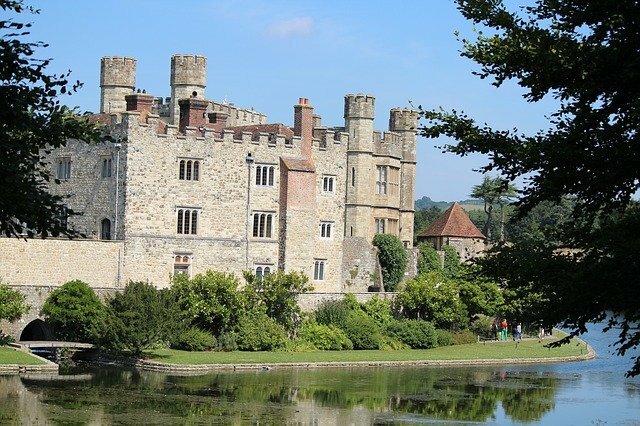 Leeds Castle, a 900-year-old moated medieval fortress considered to be one of Britain’s greatest castles. Discover its impressive interiors, lavish decorations, and stunning landscaped gardens. Canterbury Cathedral, home to the leader of the Church of England and one of the oldest places of Christian worship in the country. The Cathedral is an architectural masterpiece boasting stunning stained glass windows and a UNESCO World Heritage Site. 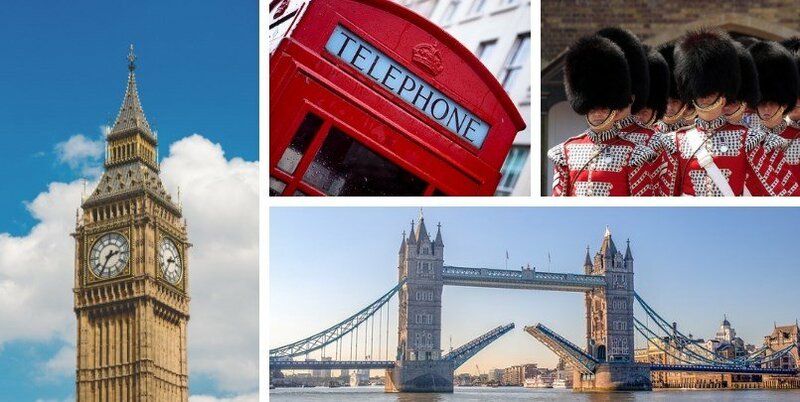 London – take a highlights tour of London, driving past some of the most famous landmarks like Big Ben, Buckingham Palace and Westminster Abbey. Sissinghurst Gardens, considered to be one of the finest examples of an English country garden with a fantastic variety of plants and flowers. 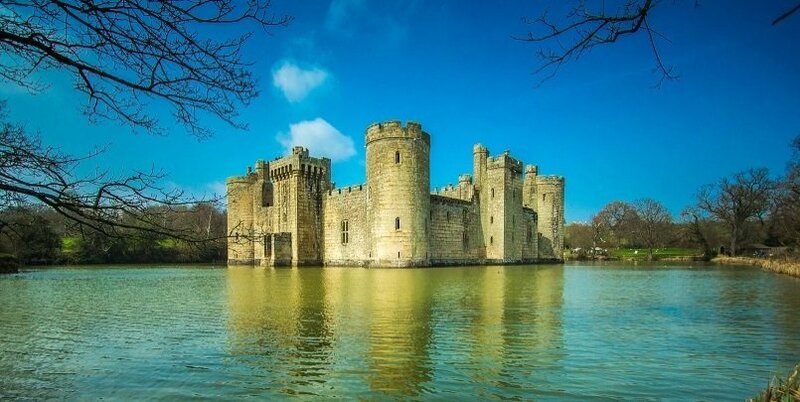 Bodiam Castle, built in 1385 and surrounded by an iconic moat and beautiful countryside and built to help defend the English from the French. 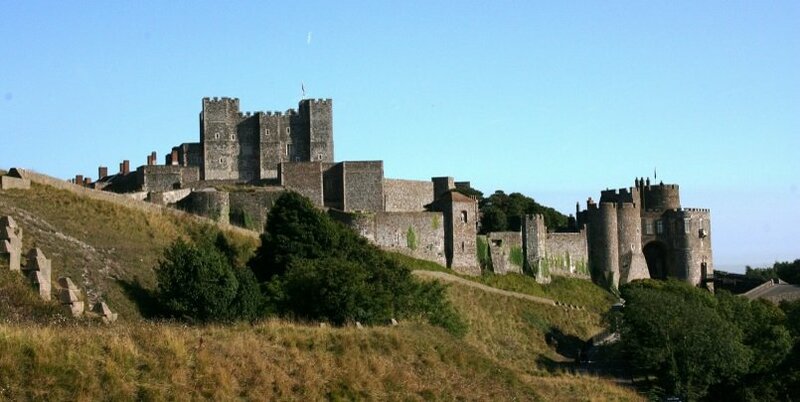 Dover Castle, a medieval castle that towers over the English Channel. 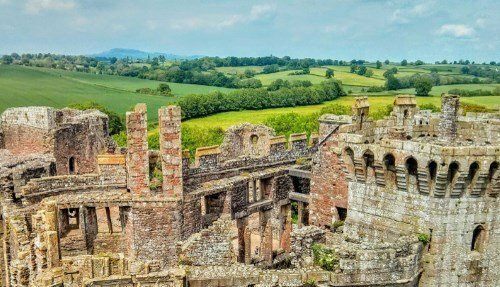 The castle served as Britain’s first line of defense for centuries and protected the country for numerous invading armies. Learn about the castle’s unique role in British history. Chartwell House, the adult home of Sir Winston Churchill, the great British wartime leader. Learn more about his life, work and sources of inspiration, as well as admiring the many original Churchill paintings. 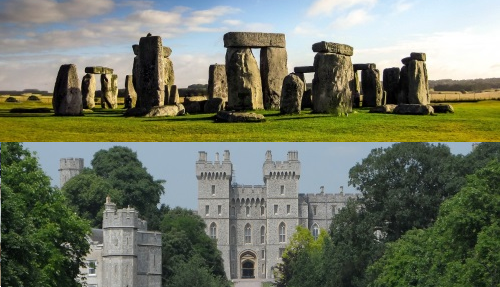 Below are some sample itineraries of private tours from Dover Port. Tours can either return to Dover cruise terminal or end in either London, Heathrow, Gatwick or Stansted airports. Tours are built according to your interests and schedule. Departing from Dover cruise ship terminal, spend the day in southern England. 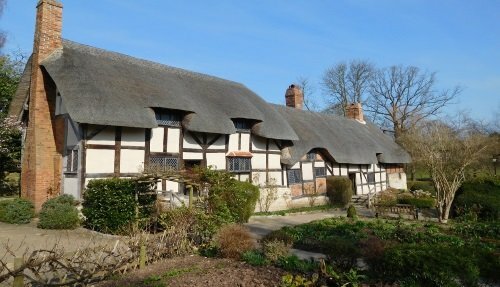 We’ll first head to the historical city of Canterbury with a guided tour (optional), free time and possibly something to eat in and around the area. Canterbury is a pretty English town built by the Romans, with old cobbled streets and plenty of hidden gems. 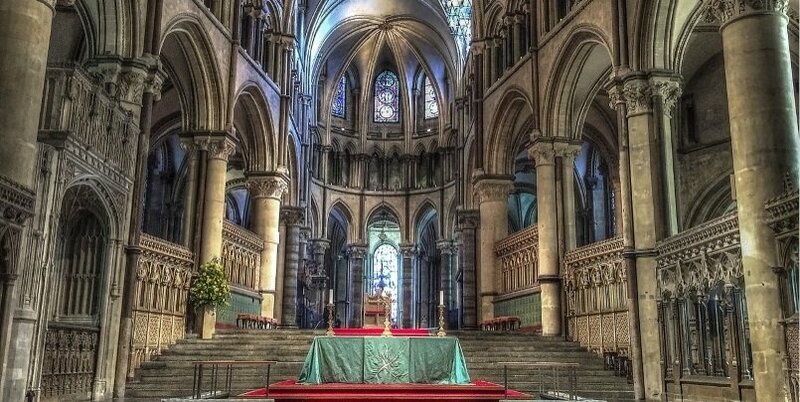 You’ll be able to see Canterbury Cathedral which is a World Heritage Site and seat of the Archbishop of Canterbury. 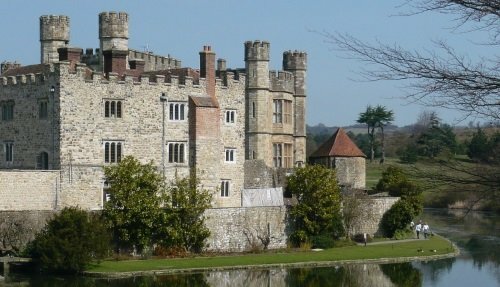 From here, we’ll head to Leeds Castle, one of the most beautiful and spectacular medieval fortresses around! The castle dates back over 900 years, and highlights include the impressive State Rooms and magnificent landscaped gardens. You’ll have time to explore the castle. Finally, it’s a 30-minute drive back to Dover Cruise Terminal, or we can drop you off at your London hotel or airport. Departing from Dover Cruise Terminal, we’ll head straight to London for a driving tour of the city. You’ll get to see highlights of the capital, including Big Ben, the Houses of Parliament, Buckingham Palace, Piccadilly Circus and more! This is a perfect itinerary for a first-time visitor to London. If you have visited the city before, then we can customize the tour according to your interests. Rest assured, you can never get tired of London! The tour can finish in London, where we can drop you at your hotel or airport. Alternatively, we can take you back to Dover Cruise Terminal, with time to catch your cruise ship. For further information and prices on private tours from Dover Port please contact us using the enquiry form below. Please provide as much information as possible and include your arrival and departure times and your drop-off location.